Welcome to Audiko.net! 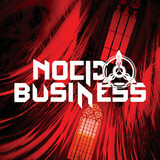 You can just download a free Nocid Business Recordings ringtones for your iPhone or mobile. Cut your favorite passage from your favorite video - Future Primitive - Difficult Situation, Human Error - Playin' The Game, Disept - Discovery, or any other track. We provide you with an option to download your tune both in the MP3 and m4a formats, compatible with both mobile phones and iPhones. Just select a track, and choose free Nocid Business Recordings ringtones download option.